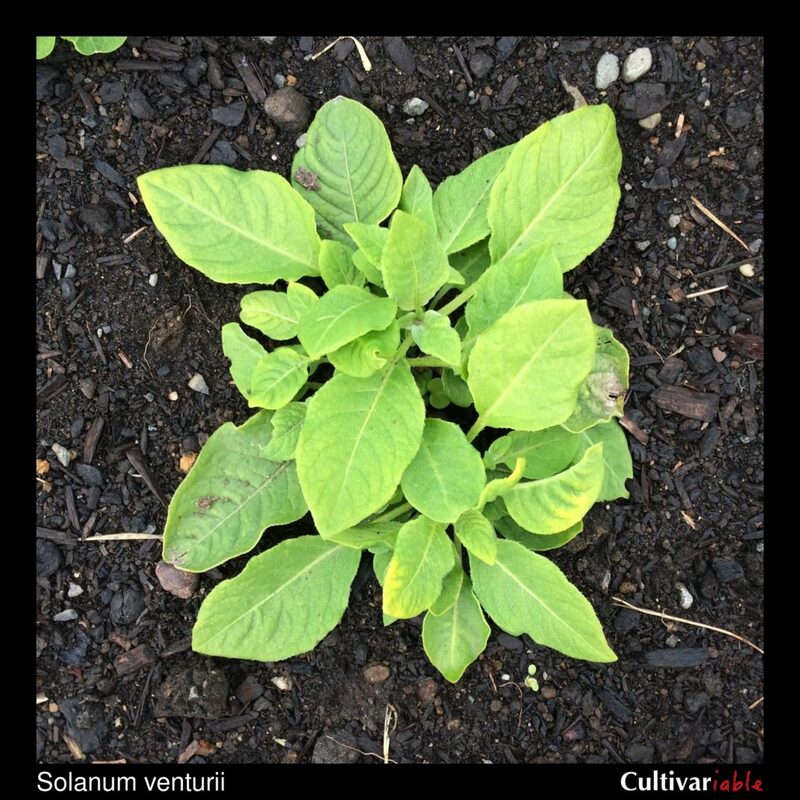 Solanum venturii (venturii in honor of Argentinian botanist Santiago Venturi) is a wild potato species native to northern Argentina. This species can survive frosts down to 26 degrees F (-3.5 C) (Li 1977). Vega (1995) found that this species is less frost tolerant than domesticated potato. Van Gelder (1988) found TGA levels ranging from 138 to 250 mg / 100 g for this species. These levels are far in excess of the safety limit of 20 mg / 100 g, so this species appears to have little potential as an edible. Towill (1983) found that seeds of this species stored at 1 to 3 degrees C germinated at 100% after 16 years and 78% after 25 years. Jackson (1999) found 4-19% 2n pollen for this species.